If you want a wedding party that’s as fun and fabulous as T. Swift’s squad, check out these tips. So maybe your bridal party won’t include Selena and Karlie, but it’s bound to give us squad goals just the same. If you want a wedding party that’s as fun and fabulous as T. Swift’s squad, check out these bridsesmaid squad tips. 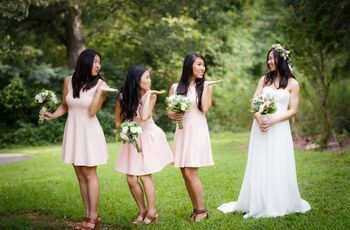 When it comes to the question of how many bridesmaids you should have, there’s no right answer. Think about your relationships over numbers. 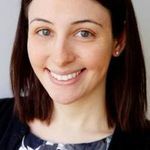 Though it’s a good idea to consider your total guest count (a small guest count with a huge bridal party looks a bit disproportionate), don’t worry about having an even number of bridesmaids and groomsmen. No one will notice, and it’s not worth hurting the feelings of someone you “cut” to make things even-steven. Usually a bridal party includes a mix of family members and friends. Your siblings are often at the top of the list, followed by close friends and other relatives. And to keep the peace with your future spouse’s family, we recommend including siblings-in-law as well, if you’re able. Consider T. Swift’s relationship with Katy Perry. Yeah, Katy was part of Taylor’s squad a few years ago, but right now, they’re not on the best of terms. If you were bridesmaids in a friend’s wedding years ago, but now barely speak, there’s no need to ask her to be in your wedding party. It’s all about thinking about those who you are closest with at the present moment. 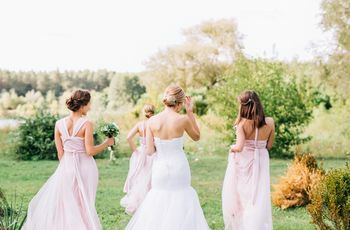 You want your bridal party to include those who have been there for you through thick and thin, who will help calm you down when you’re stressing about linen colors or seating charts, and who not only love you, but know and love your future spouse as well, and support your relationship. With all of her besties, we don’t know how Taylor would pick her maid or man of honor—and you don’t have to either. You can also have a maid of honor and a matron of honor, two maids of honor, or another arrangement you make up yourself. While it's good to have a designated leader in your squad, you certainly don't have to. 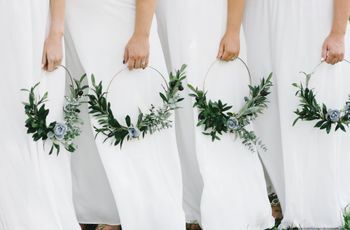 We love a good “bridesmaid proposal,” when brides find creative ways to ask their friends and family members to be in their bridal party. 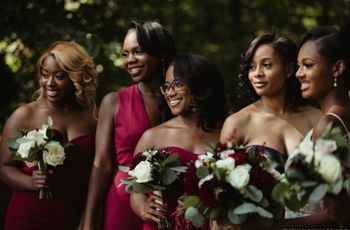 However, it’s important for you to be open and honest with your bridesmaids and check that they actually can and want to be part of your wedding day. Perhaps your friend just lost her job or your cousin is pregnant and due right around your wedding day. There are many reasons why people would be unable to participate, and that’s okay—no hard feelings. If your wedding party members come from different parts of your life (siblings, friends from elementary school, sorority sisters, etc. ), it’s a good idea to introduce everyone, whether in person or over email. 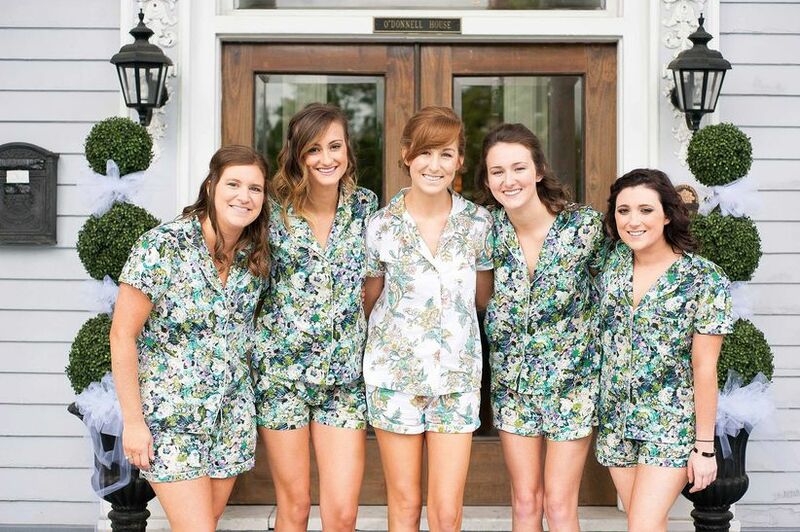 Your bridal party has lots to do in advance of your wedding, so it’s good to kick things off on the right note.